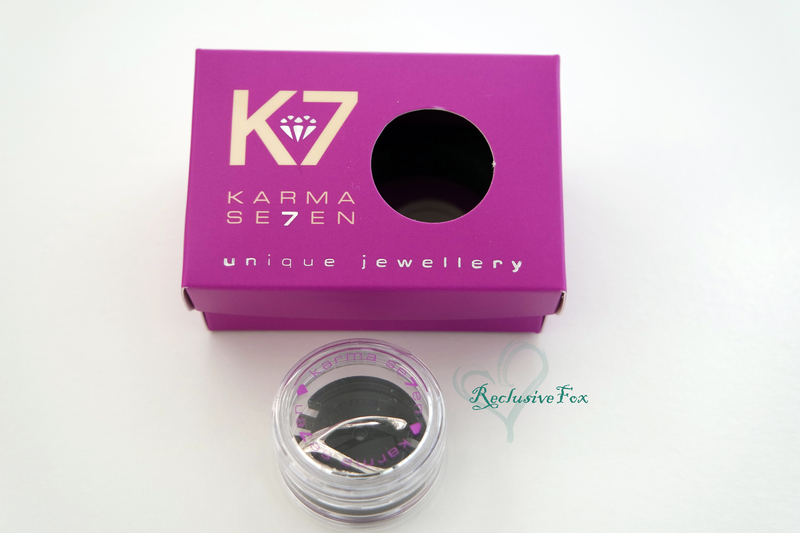 In Heaven with Karma Se7en Jewellery - Reclusive Fox ""
I do love receiving packages in the mail, especially when they are full of goodies like these from Karma Se7en (cool name don’t you think?). Each of the six items were individually packaged in a pink box and all but the wooden tribal earrings came in a plastic container . The packaging is branded and super cute, not what I was expecting considering the price so I was instantly impressed. 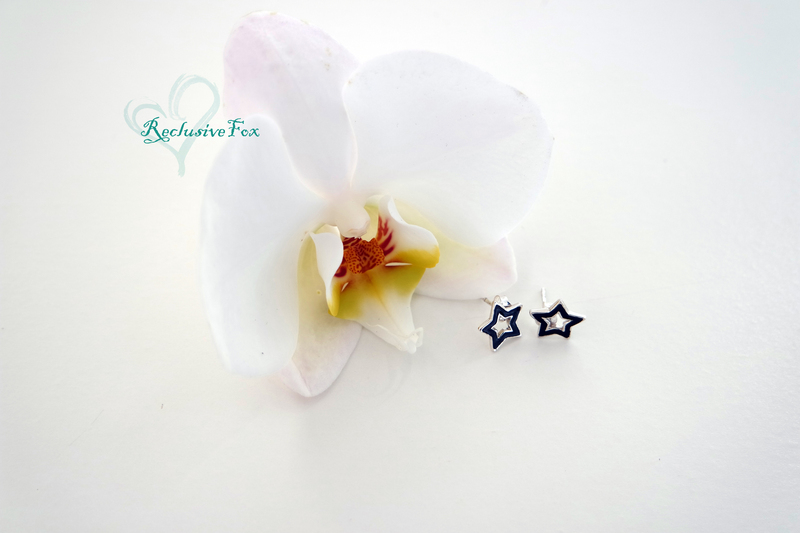 The star earrings are simple studs, not too big and not too small. They’re sterling silver with black enamel and are only £5.99. The type of earrings you can wear everyday with any kind of outfit, like your pjs like me right at this moment. I love helix piercings but I’m a chicken and don’t have the guts to have it done. Elle has hers done (and she picked some of the jewellery from Karma Se7en as you’ll see in a moment), but I have no choice but to buy the fake jewellery like the Sterling Silver Clip on Helix Ear Cuff at £4.99. Elle can wear it on her un-pierced ear too, so we’ll be sharing. These are the two piercings as chosen by Elle for her helix piercing. 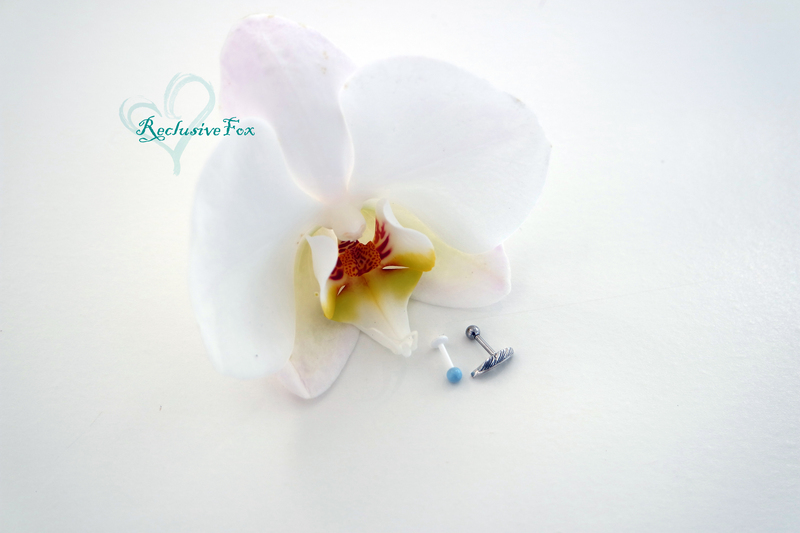 One is a pastel blue labaret stud (£2.95) – yes we do know that’s not really for the helix but it fits and Elle loved the simple colouring. 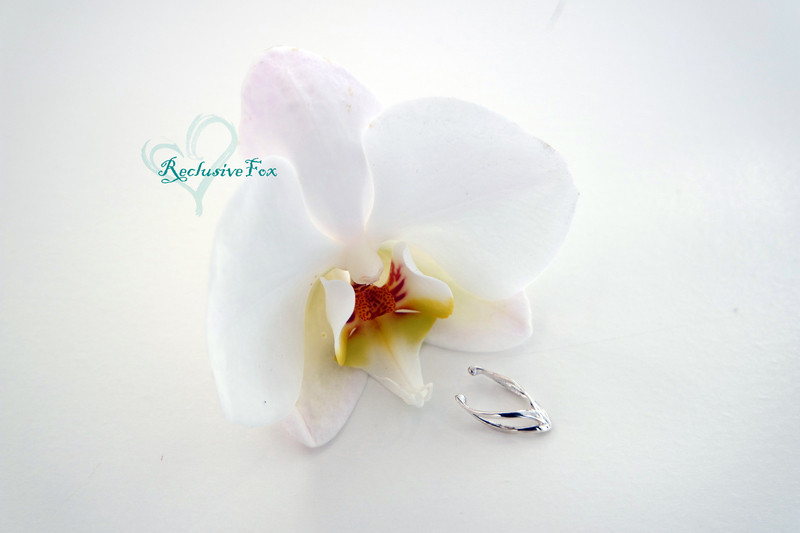 The second piece is the feather helix and tragus stud earring. Simple, cute and once again only £2.95. Elle is having her belly button pierced for her birthday in a few weeks time. We both loved the Byzantium shield belly bar so I let her pick it to wear once her new piercing heals. I adore this piece and do wish I could have some studs like this but sadly I couldn’t find any on the website. It’s a beautiful design and my favourite piece out of the lot as well as the most expensive at £6.95…So not expensive at all really. 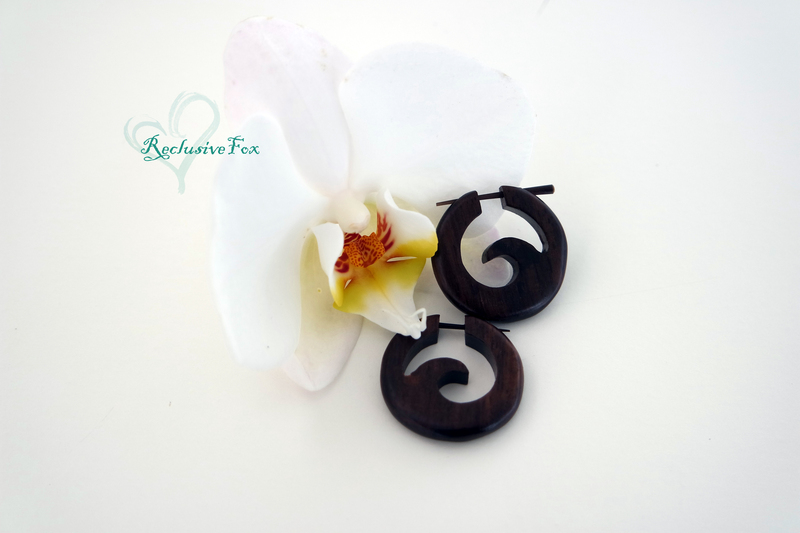 Finally I picked these sono wood waves traditional tribal earrings that cost £3.95. I adore them and think they’ll be perfect for the summer. The problem with these is getting them in, they’re a bit awkward and they are heavier than I thought they would be, but that’s probably because I’m used to wearing studs or small silver danglies. These do taper out a tiny bit so only buy if you’re happy to slightly stretch your piercings. 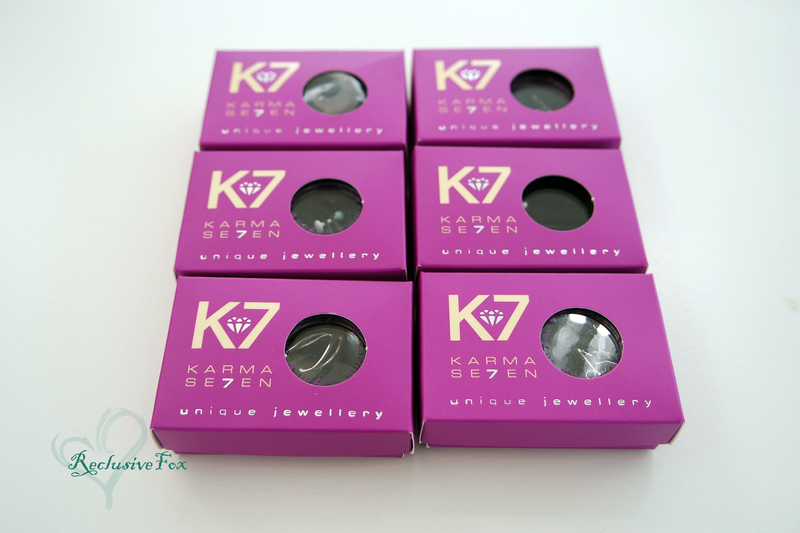 I’m super impressed with the range of body jewellery available from Karma Se7en, along with the packaging and speedy delivery. But the BEST news is the deal they provide their customers (new and old), which is ‘Buy One, Choose One Free’. So the jewellery is super affordable, good quality, beautifully packaged (ideal for gifts) and you buy one and get one free too. Pinch me, I’m in heaven. The pieces are very pretty and the prices are totally affordable – a great discovery.